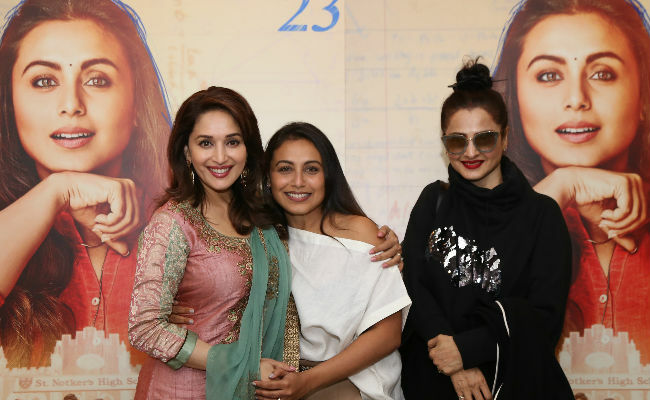 Rani Mukerji with Rekha and Madhuri Dixit at the screening of Hichki. Rani Mukerji screened her new film Hichki for her Bollywood pals a week before it is scheduled to hit the screens. 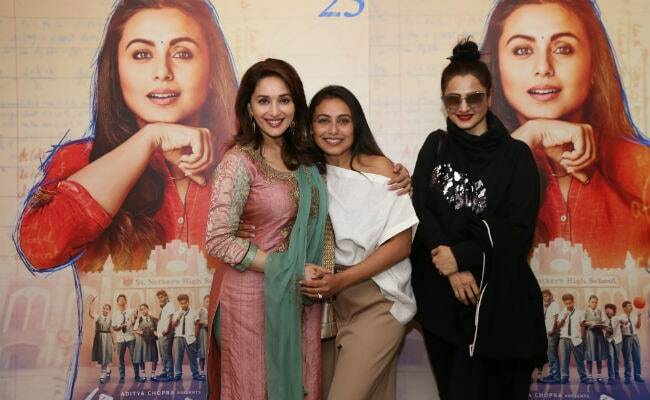 On Thursday, Madhuri Dixit, Sushmita Sen, Rekha, Karan Johar, Shilpa and Shamita Shetty among others attended a special screening of Hichki. Most of the crowd broke down after watching Rani's film, a statement from Yash Raj Films read. Hichki is based on Brad Cohen's bookFront Of The Class and it narrates the story of Naina Mathur, an aspiring teacher with Tourette Syndrome. An overwhelmed Karan Johar congratulated team Hichki on Twitter: "Hichki takes you back to school and gives you life lessons in such a nuanced and beautiful way. Well done Siddharth (director Siddharth P Malhotra) for directing this film with such an assured hand and with such sensitivity! Must watch." 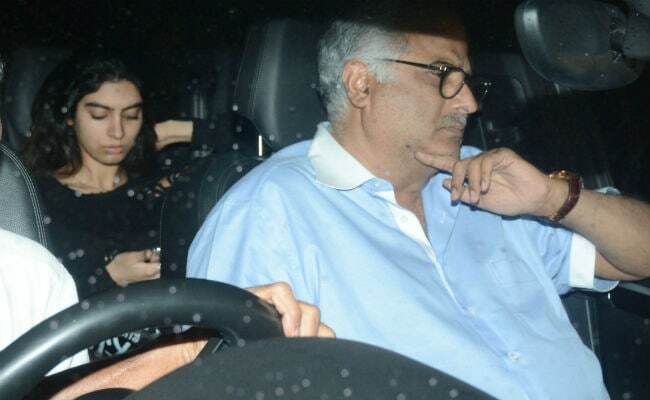 We also spotted late actress Sridevi's younger daughter Khushi with her father Boney Kapoor. Rani Mukerji had earlier said that Sridevi wanted to watch Hichki before leaving for Dubai but Rani promised to show her the film once she returned. Sridevi died in Dubai on February 24. 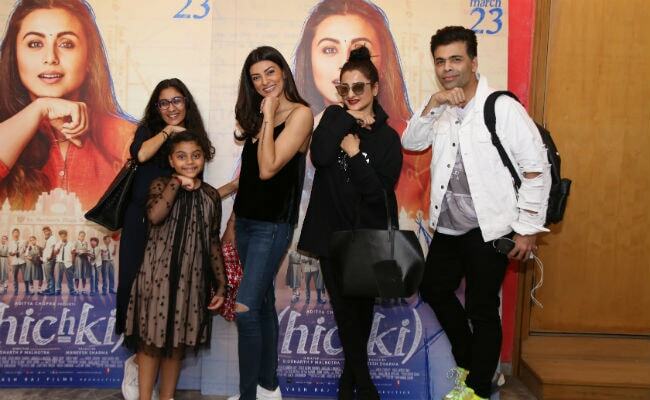 Rekha and Karan Johar were up for some fun with Sushmita Sen and her daughters Renee and Alisah. 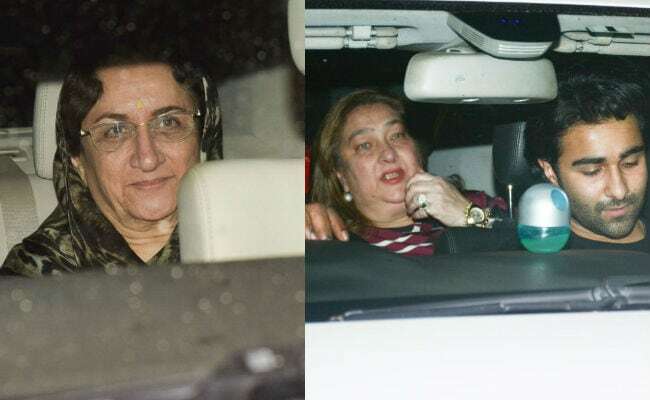 Late actor Shammi Kapoor's wife Neila Devi along with Rima Kapoor and her son Armaan represented the Kapoor family. 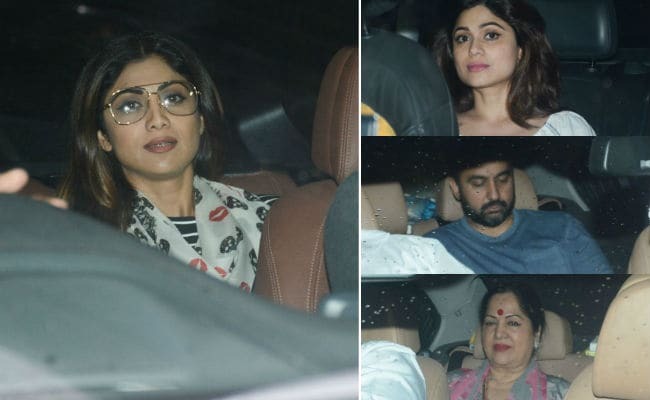 For Shilpa Shetty, Hichki screening was a fam-jam with sister Shamita, husband Raj Kundra and mother Sunanda Shetty. Hichki is co-produced by Maneesh Sharma and Yash Raj Films. The film is expected to release on March 23.